SQL database repair process lets you view the recovery procedure of the SQL database. 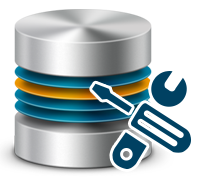 SQL database repair tool has the most essential features that helps you to repair a corrupt SQL .mdf file in an efficient manner. Recover corrupt SQL database from any state. Repair SQL Server database of primary & secondary files via dual scanning options. Recover database objects like Tables, Triggers, functions, Sp's, Views, Rules etc. Support SQL Server 2017, 2016 & all below versions Mdf & NDF files. 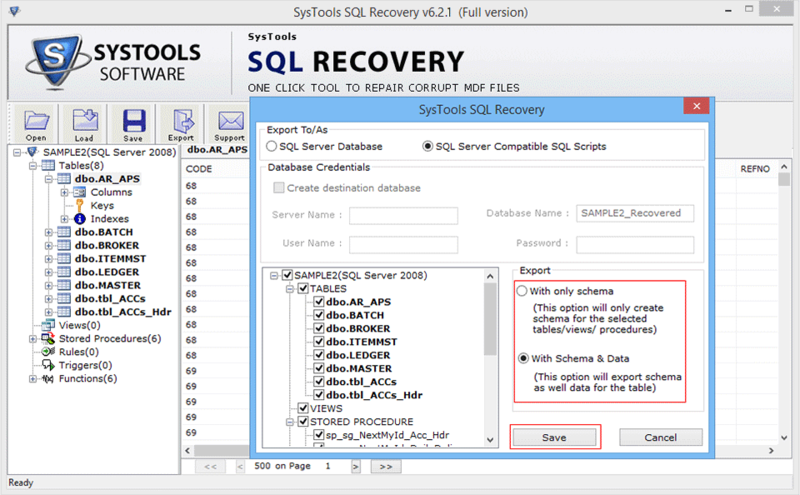 SQL repair tool has developed to prevent data loss from huge corruption of database files. Software can easily recover and repair corrupt SQL .mdf file databases from consistent state. The database files can be repaired, if they have been crashed due to system failure, power issue, bad system shutdown etc. 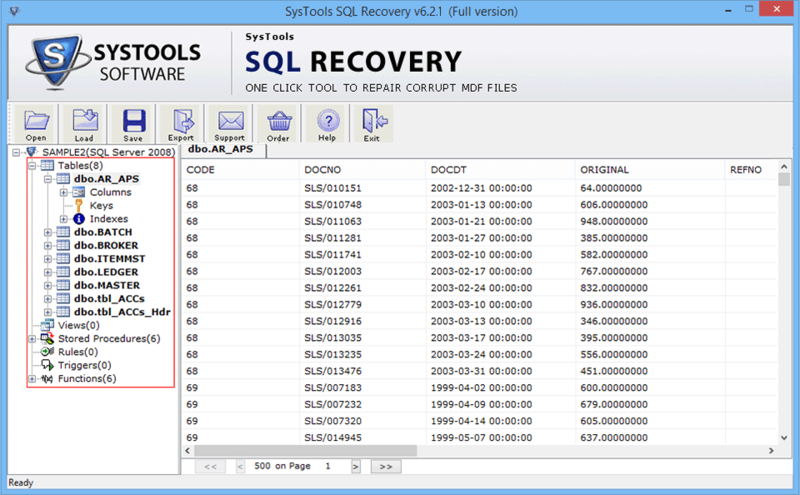 Quick Scan: Used to recover SQL Server database from normal database corruption. Advance scan: Used to recover database from a huge corruption. 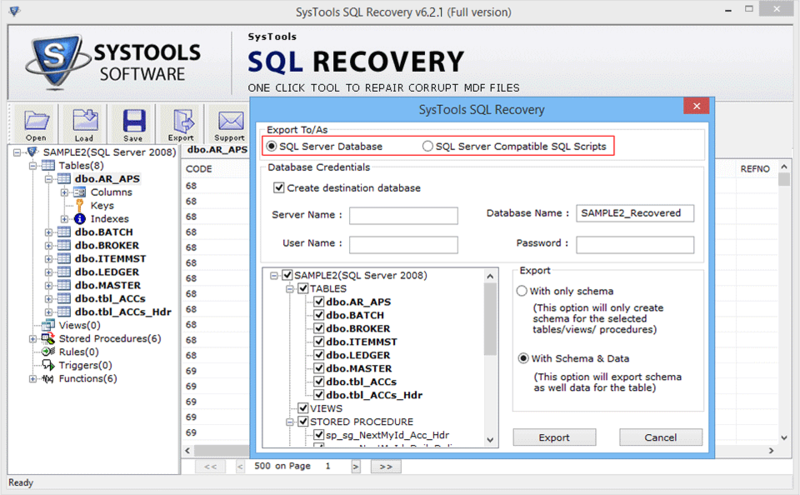 SQL database repair tool scans the entire primary and secondary database file and perform recovery of database objects like Tables, Stored Procedures, Trigers, functions, views, primary key etc. Getting database corrupt, suspect mode, index corruption errors in SQL Server are common issues. SQL database recovery software perform deep scan of primary and secondary database file and fix database common error messages like 823, 824, 8946 and other page level errors. SQL database repair helpful in recovering deleted SQL Server Database and prevent data loss due to accidental delete. 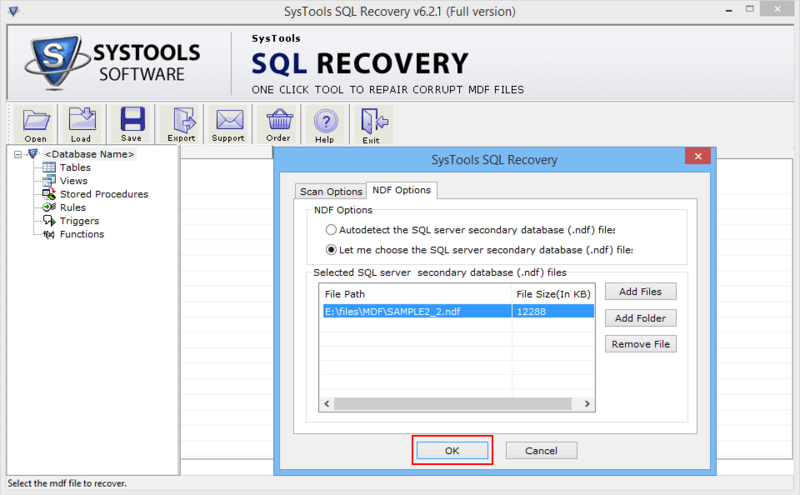 Moreover, SQL recovery utility provides you the option to recover selected deleted items from the recovered items. As the software tested with huge size of primary database files, Once the corrupted database file successfully scanned using Advance scanning mode, the SQL recovery tool provides the option to save the scanned file into .str file format for the future use. The latest version of SQL database repair tool brings with some advance data type support like geometry, Datetime2, hierarchyid, sql_variant, geography & datetimeoffset with Unicode XML and ASCII data types. Now recovery is possible with desired item selection. 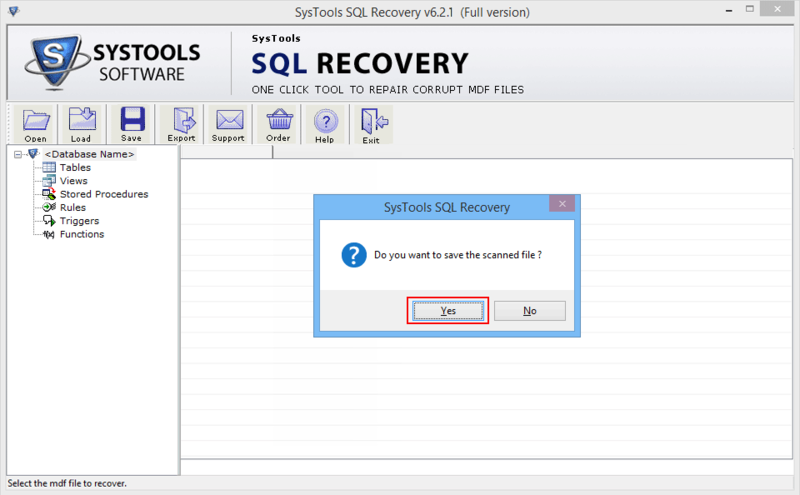 Once the recovery of corrupt SQL database completed by SQL database recovery software, the tool allow you to export desired database items by check or uncheck them. SQL database repair utility allow you to export your database into live SQL Server database. For this, you need to provide details like Server name, User name; & Password. or you can export it as a SQL Server compatibility script. 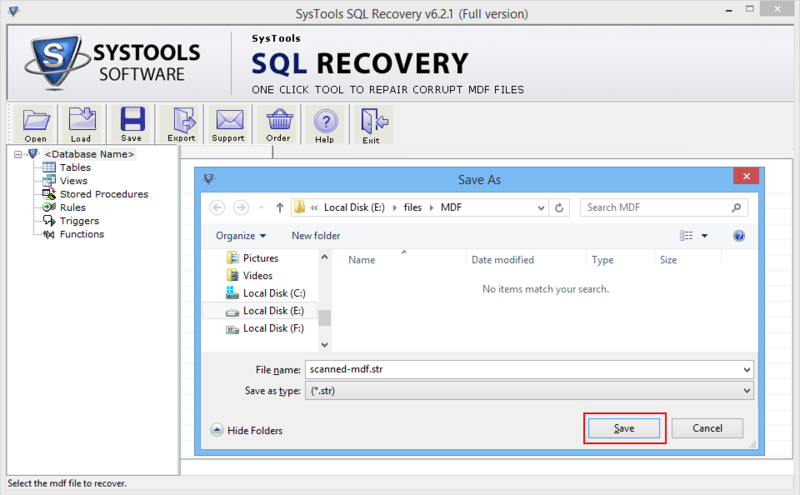 The SQL Server database recovery tool recovers corrupt SQL database files of SQL Server 2017 and the software can also supports primary and secondary database files of previous versions (SQL Server 2016, 2014, 2012, 2008R2, 2008, 2005, 2000). Once the database file completely scanned by SQL repair tool, the software will then preview the recovered items of database file with proper detail. 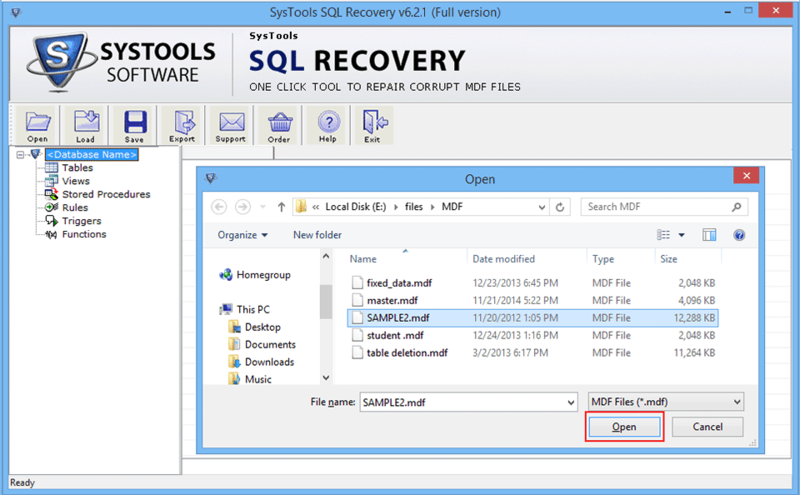 Moreover, SQL recovery software allow you to save scanned database file into .str file format for future use. Similarly select the NDF file by clicking on Add files or Add folder or you can select either autodetect and add file by manual selection. Click on Ok to complete scan opration. Save the scanned file by clicking on yes. Export the recovered elements direct into live SQL Server database by filling database credentials or export into SQL Server compatible SQL script. Export the database items with only schema or with schema & Database and then click on save to complete export process . Select the desired location and click on Ok to save exported data. 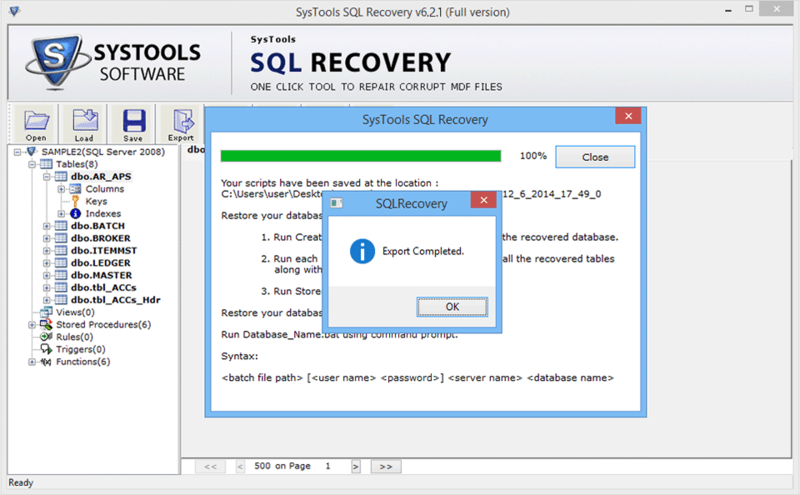 Click on Ok then close the complete process of SQL recovery Software. The corruptness obviously is never bought and always arrives at a short notice that too in a very complicated manner. So, To recover your files out of corruptness without any further more issues or complexities you are given this SQL database repair tool that has the potential to recover files with ease and comfort. 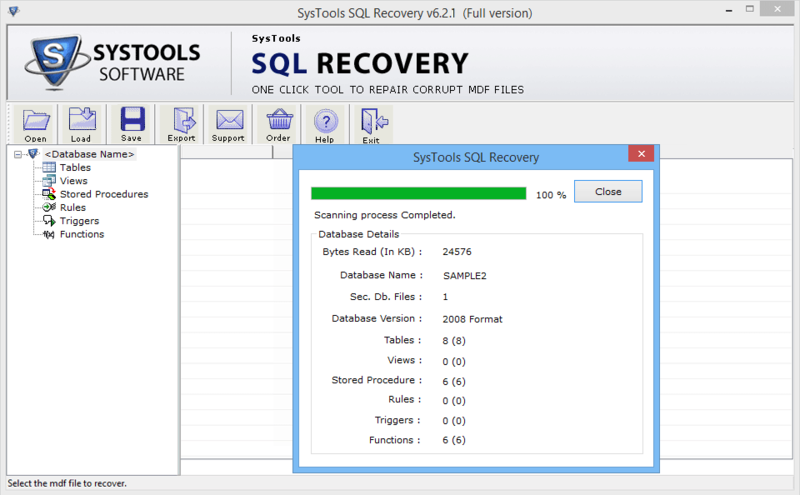 The demo version of SQL recovery software, that allows you to perform free SQL database repair process to perform the recovery of database files at no cost and that too lets you to view the process of recovery. 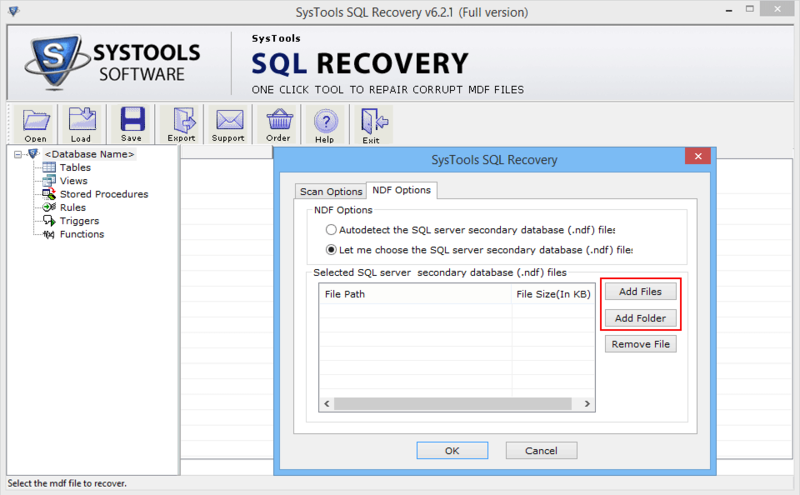 This free of cost version is easily accessible to you as it is available on the SQL recovery website. So that you just have to visit to the site and click on the download button to get access to the free of cost utility. Can I repair a corrupt SQL database with this tool? 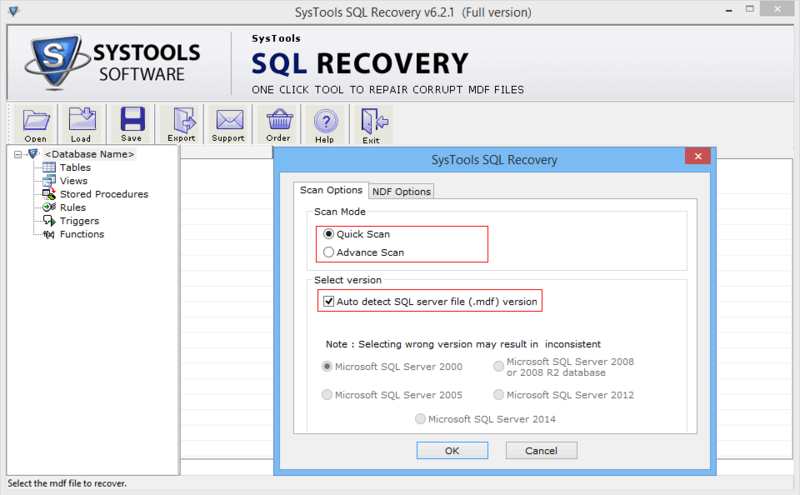 Yes, SQL repair tool can easily recover the database from corrupt SQL database files (MDF/NDF). Does this software required for SQL Server Environment? 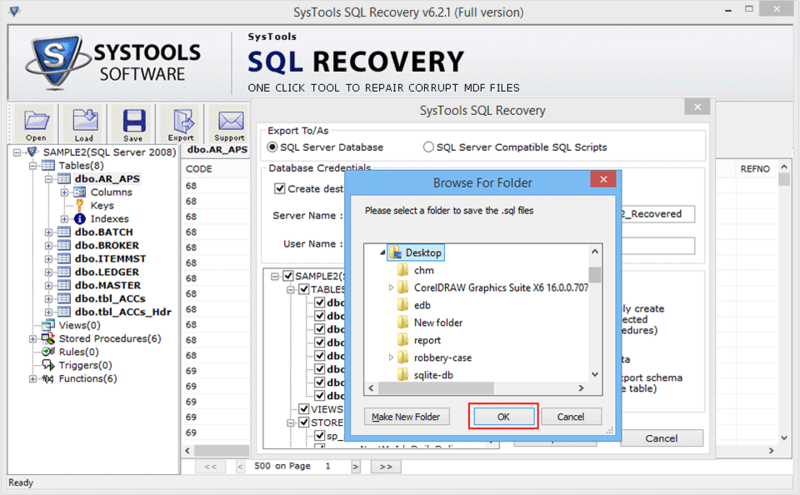 No, SQL recovery tool recovers the database from corrupt database files, It doesn't required for SQL Server environment. But, to save the recovered data you need to have SQL Server installed on your machine. Can I use this utility to repair corrupt SQL table of SQL Server 2017 .mdf file ? Yes, software can easily support the primary and secondary database files of SQL Server 2017 and all its below versions and able to repair corrupt SQL table, views, functions, Stored procedures and other database objects. Does this SQL recovery tool impose any file size limitations? No, SQL database repair tool doesn't impose any file size limitations to recover database from corrupt database files. Can I use this database repair utility to recover database from suspect mode? Yes, the tool can easily works for suspected database and able to repair SQL database from suspect mode. I was looking to repair my corrupt SQL Server 2005 database, but I was getting failed again and again through manual steps. I tried bundle of SQL database recovery Software but can't find my solution. 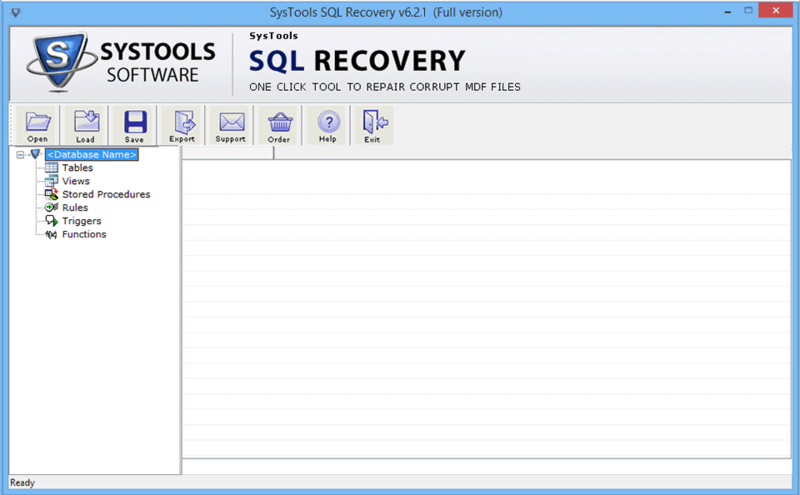 At last I tried this helpful utility and recovered my corrupt SQL database successfully. Before going through this SQL recovery tool I tried all the possible solutions recommended by database experts, but stuck with same database corruption error. But, After using this utility I got my solution and fixed database corruption error. Thanks to Developer for developing such utility.